What do children look for in a friend? 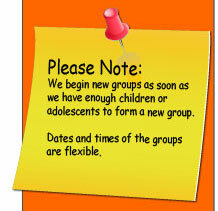 The Social Skills Groups What do children look for in a friend? When children are deciding whether to be friends with someone, they unconsciously or consciously ask themselves important questions. Is this child fun to be with? Do we influence each other in ways I like? Does this child help me achieve my goals? Does this child make me feel good about myself? Is this child similar to me? Research suggests that the answers to these questions affect whether children will accept or reject a child. The answers to these questions affect your children's friendships, parent-child relationships, friendships among adults, and marital relationships. Certain questions are more important at certain ages. During the preschool and elementary grade-school years, children seem to care more about the first question, “Is this child fun to be with?” They are especially likely to value friends who are fun to play with. In adolescent years for example, they often look for characteristics relating to trustworthiness, such as loyalty and keeping secrets. We always want our children to choose friends because they influence them in ways that they like. As parents we need to first instill good values in our children so they look for friends who influence them in these same ways. If we as parents can parent in a way that makes our children “feel good” about themselves, then they will replicate this experience again when choosing a friend. “Does this child make me feel good about myself?” We want our children to grow up knowing they deserve this from others. What if a parent does not make their child feel good? Then perhaps that child will not feel they deserve a friend who makes them feel this way. And they may attract bullies and kids who are unkind to them. We all know a child who succeeds despite the hearing loss and speech impediment. And we all know the child who has the same speech issue or another weakness, and is not successful. But we are all made up of strengths and weaknesses and we need to help our children to focus on their strengths and improve upon their weaknesses so they feel good about themselves. Then they can attract nice friends into their lives. A child's relationship with their peers is based on the pattern of their behavior. Children's positive behaviors will help to offset some of their less desirable behaviors. The child who is quite bossy may be accepted by other children if the child also has a good sense of humor, is good at sports, and is often times helpful or kind. But another bossy child who shows few positive behaviors may be rejected. There are many possible reasons a child is rejected by their peers. Different children may be disliked for very different reasons. Some children seem to antagonize others by being aggressive, while others annoy their peers by interrupting a lot. Other children are shy, withdrawn and nonresponsive. And others are perhaps incompetent at valued peer activities like sports. Many of rejected children are lacking in positive interaction skills, for example, being cooperative, helpful, or showing understanding for other people’s feelings. What can we do to help and assist the children who are not successful at making friends? We can help these children by teaching them positive ways to interact with others. When they do this consistently, they will gradually shift their less desirable behaviors with others to more desirable ones. In time this will change their reputation. The outcome will be they will be accepted by their peers. We want to help empower them to be “in control” of their behaviors.